Ukrainian Association of Retired Persons has been using its life experience, knowledge and skills for the benefit of people of all ages, especially the elderly. Its members united their efforts to undergo real changes in their lives. Sometimes we are called “retirees union”. And this is explained by that that each our program is ultimately aimed at concrete benefits of the pensioners and real improvement of life quality. Opposing the discrimination of the elderly at the very beginning of its operation, we have consistently pursued our programs so that they would render concrete assistance to the grey-haired generation to overcome the effects of age discrimination in any area of public relations. Our programs are original response to discriminatory restrictions of those ones who belong to so-called group 50 plus. It is the very age group (citizens of retirement age) who suffer this discrimination. UARP is aware of the fact that pensioners are refused to banks loans. UARP has created its own financial institution: First Ukrainian Credit Union (FUCU) that views no age restriction as a response to it. 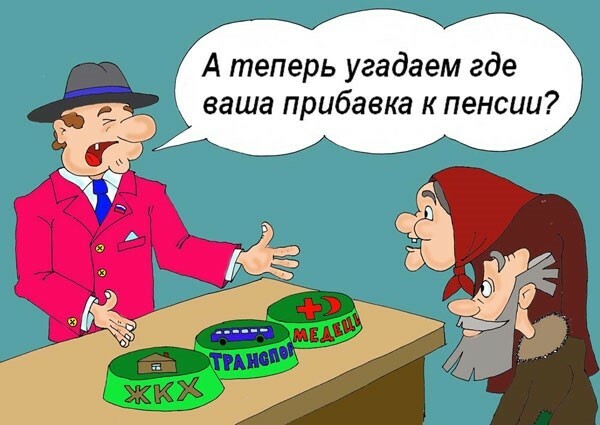 A considerable amount of our society (the very group 50 plus and approximately every third citizen of Ukraine) is devoid of proper medical care, just when the insurance companies view older citizens to the following principle: to insure a pensioner is like to insure a burning house. To overcome the discrimination against the elderly in the health care system, we have developed an affordable health insurance program, by means of founding First Insurance Company. It has been operating in the province for several last years, thus it is very difficult to get qualified and timely medical care there. Likewise the stated program we have created our program of affordable housing. Laying five-story building, we have planned in advance that a certain amount of apartments might be purchased by retirees at reduced price. Ukrainian public organization Ukrainian Association of Retired Persons was registered on the 17th of October 2000, the Ministry of Justice of Ukraine issued certificate No. 1504 in this respect. But one cannot find to oneself without international experience. To define the purpose and main objectives, we had studied international experience of national associations of pensioners all over the world. The first thing was that we rejected as inappropriate any adjustment to any political party or union. Those public organizations that follow this way usually prove its disability to serve the society and withdraw very quickly. UARP started its operation by means of creating small branches in all regional centres of Ukraine and incorporated then 14 regional offices. We have already incorporated 16 regional offices up to this moment. But this is not the major priority for the Association. Finding to itself in public life, we have decided once that we wouldn’t ask for money from the state, and UARP has been strictly adhering to this principle for 12 years. We are happy to get assistance from local authorities in the implementation of our programs in different regions of Ukraine. We are still ready to continue our cooperation with state authorities in the social, economic, cultural and educational spheres. But we won’t ask for a penny from the state budget. It was much covered in the press about the facts of misuse of humanitarian aid and various deals with tangible property coming from abroad. We have been offered many times to get involved in this process as it was hinted at possible benefit from that. We refused to deal with this or any similar activity, because the principle of free distribution of tangible property is not the solution of social problems. In this respect we are more impressed by well-known principle from the times of early Christianity: instead of giving the fish to the poor, it is better to learn him to angle. The slogan of the Association at the very beginning of its operation was: HELP YOURSELF! With the lapse of time we moved to another slogan: TOGETHER WE ARE THE FORCE! Inasmuch as one can achieve real improvement of our lives only by means of uniting the efforts of millions of older people.